Did you know the Keystone Scholars program is up, running, and giving away free money for higher education? 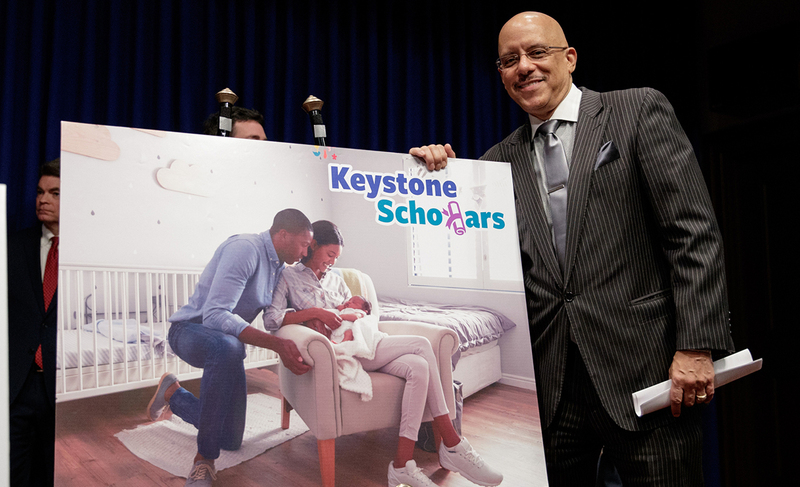 The Keystone Scholars program launched Jan. 2019 and guarantees that every newborn and baby adopted after Dec. 31, 2018, will get $100 to start their college savings once enrolled in the program. All parents have to do is open an account here, and then wait for a letter from the PA Treasury with instructions on completing the online process. Studies show that a baby with higher education savings from birth makes them three times more likely to enroll in education or training after high school and four times more likely to graduate. “I supported the Keystone Scholars program from the beginning because I believe in the power of education and the opportunities it provides,” Hughes said.